Имате въпрос към Guilin Zizhou Panorama Resort? 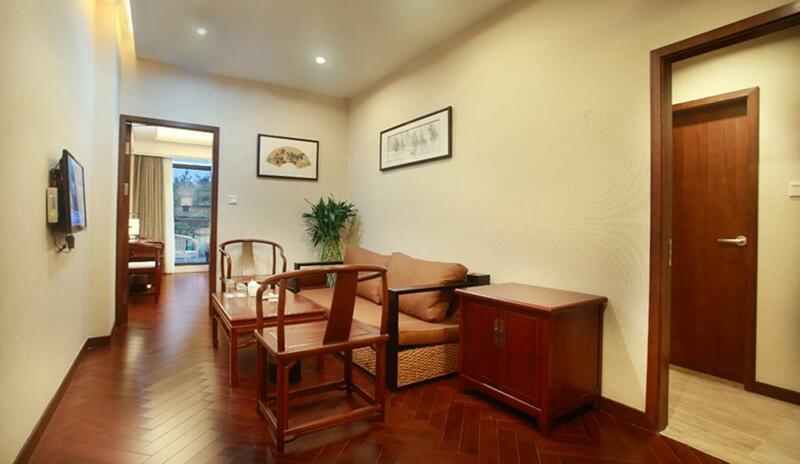 Guilin Zizhou Panorama Resort, който се намира в Район Qixing, Guilin, е популярно място за туристи. Хотелът се намира на 1 km от центъра на града и осигурява достъп до важните места на града. С удобното си местоположение хотелът предлага лесен достъп до всички градски забележителности, които задължително трябва да се видят. 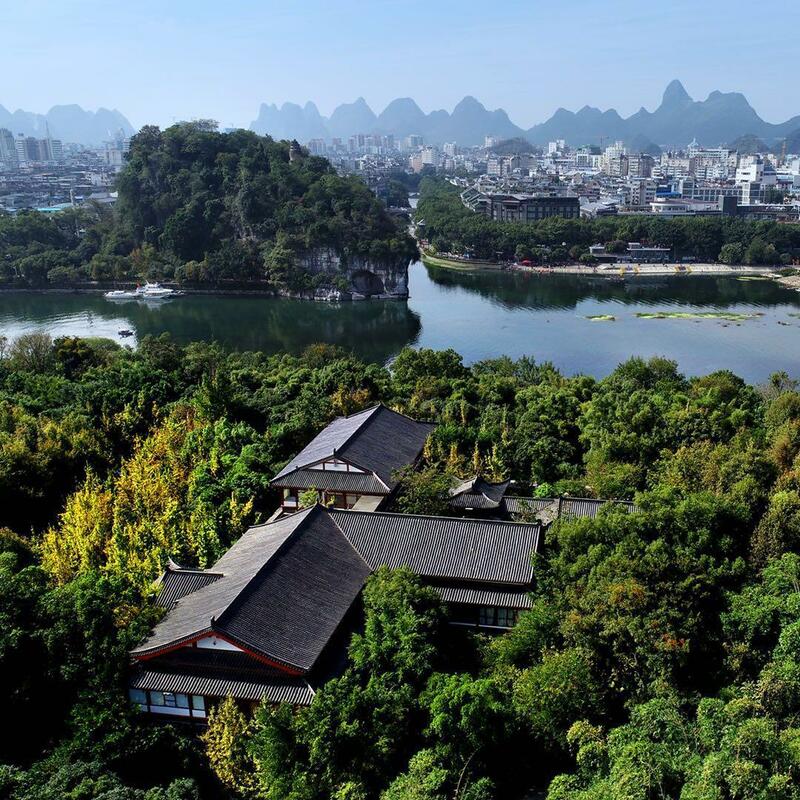 В Guilin Zizhou Panorama Resort отличното обслужване и достъпните съоръжения допринасят за Вашия незабравим престой. Докато са отседнали в този чудесен хотел, гостите могат да се насладят на 24-часов рум-сервиз, безплатен WiFi достъп във всички стаи, 24-часова охрана, ежедневно почистване, доставки на хранителни стоки. 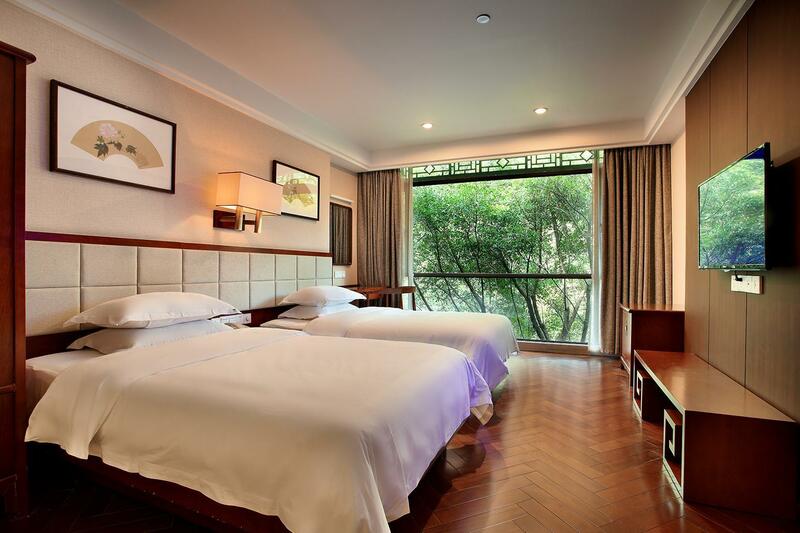 Атмосферата на Guilin Zizhou Panorama Resort се усеща във всяка стая. Удобства като хавлии, телевизор с плосък екран, огледало, спално бельо, достъп до интернет (безжичен) са само някои от даденостите на обекта. През деня можете да се насладите на отпускащата атмосфера благодарение на градина. 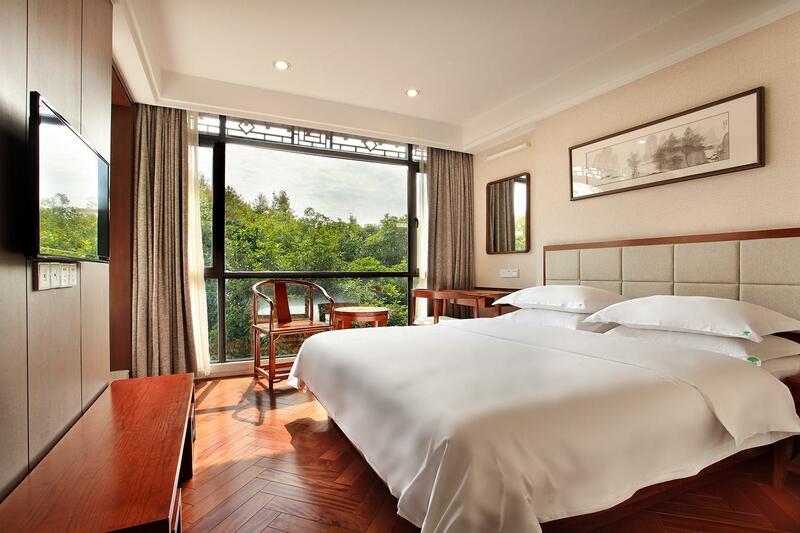 Guilin Zizhou Panorama Resort е най-подходящото място за Вас, ако търсите качествен хотел в Guilin. The property provides a pick-up service from the airport or train station at an additional charge. In order to reserve the pick-up, please inform the property of your arrival details at least 2 days prior to arrival. На разположение е безплатен паркинг в зависимост от наличността. Ако се нуждаете от паркинг направете заявка в полето Специални изисквания при резервиране. Walking distance to major parks, river while hidden in a quite park. Very nice hotel in the middle of a beautiful garden. Very clean and convenient. Quiet and relax. 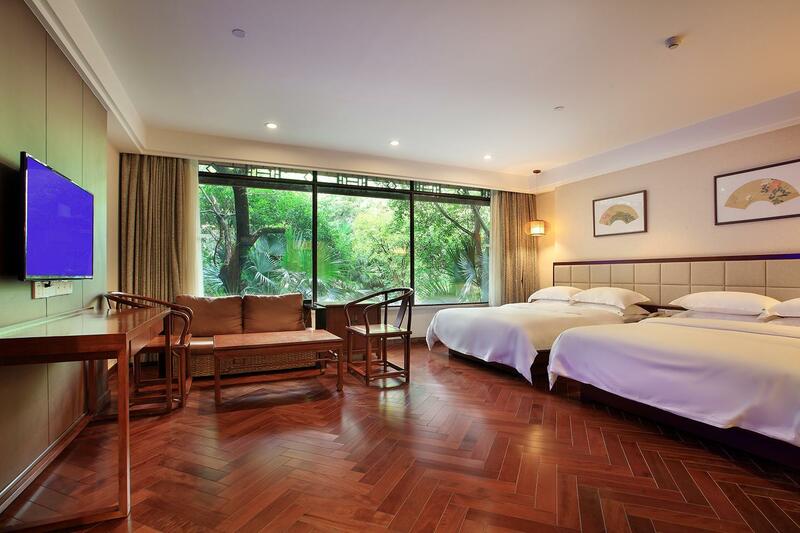 Located in the middle of Guilin, it is easy to access any touristic sight. The family room is spacious and clean. The buffet breakfast is simple but not bad. For the Li River Cruise booking, it would be the best if the hotel can help us to reserve the trip earlier. The hotel advised that we just need to book the trip one day before but actually I found that all the 4-Star Cruises were full already when I did the booking. Only 3-Star cruise was available but that was not what I wanted. Fortunately, we finally got a 5 star cruise for the trip. The resort was just beautiful. The actual hotel is way inside the entrance to it and taxis can't get in. They had free golf carts to take residents from the hotel lobby to the gate and back. Food was so-so (staff just couldn't get their heads around vegetarian food and mostly because they couldn't speak English and had to look for someone who could). Breakfast was good though. Beautiful lotus pond is a must see. There were other amenities that we just didn't have time to enjoy. The hotel is a bit aged. We are four with a baby in this tour. The room "garden view family suit" is big enough to have us all. It's located inside zizhou park which needs shuttle service for in and out always. A lot lot lot of tourists in the park on daytime but very quiet at night. Near commercial center and food market. Walking distance to take pictures of the Guilin Must visit "elephant trunk hill". Breakfast is simple but meet your basic expectation. Forgot to picked us up at the airport, give us a free transfer in return upon our departure. Housekeeping qaulity is just so-so, not all glasses/cups were cleaned daily. This hotel is very clean hotel. But location is in park. So always use cart. Great stay with good food! Staff are really helpful in general! I wont recommend my friends or family member to stay this hotel anymore... My room's wash room the water is blocked when I take shower n not clean, room so smelly when I walk in. They change another room for me but plug can't use! I can't charge my phone, wash room dirty also. Coz it's too late n we are tired so I juz can accept it. Only the travel assistants did not perform well, otherwise it was quite worthwhile a stay. One of them was always arrogant - did not show any politeness - sitting when we were talking...and gave us a fake ticket for entering Qixing park. It really cost us lots more time and energy solving the problem. Hopefully, some one could help to improve her performance and behavior! hotel is in the middle of a park. very nice quite. Hotel is great except the room is a bit small. The guard at the gate is rude and impolite. Since taxi is not allow to enter the gate, guest has to enter the gate by foot. When the guard is requested to kindly call the hotel using their internal line to pick up guest at the gate. They refuse to do it and ask the guest to call the hotel themselves. I have to tell them that I don't have a local mobile phone. Only after that they call. 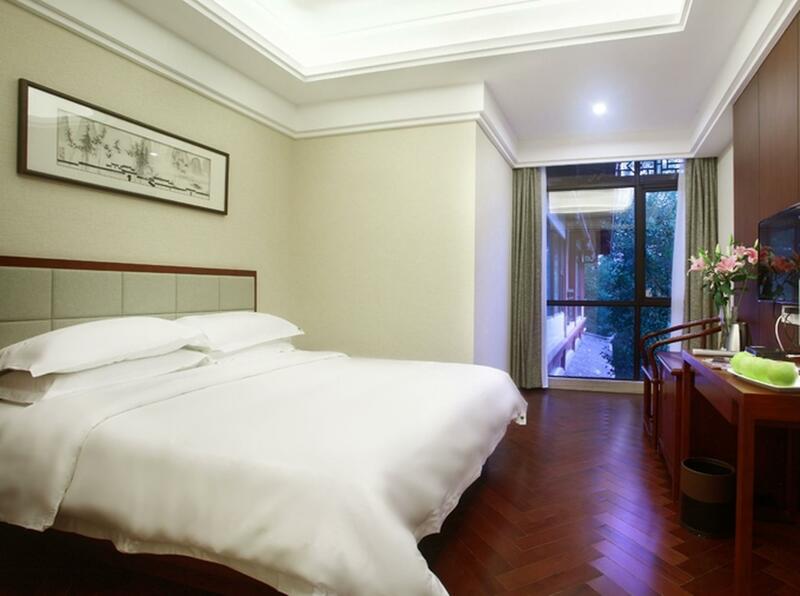 Only book this hotel for 1night cause going to yangshou on the next morning. Arrive at Zizhou hotel at 6plus. Wasnt able to reach the Lobby as it was situated in the center of the park. Call up the hotel and someone will pick u up with transport to hotel. Very noisy place as u have very loud noise coming from the tree insect. Hotel is very clean and beautiful. A very nice bathtub and very big room. 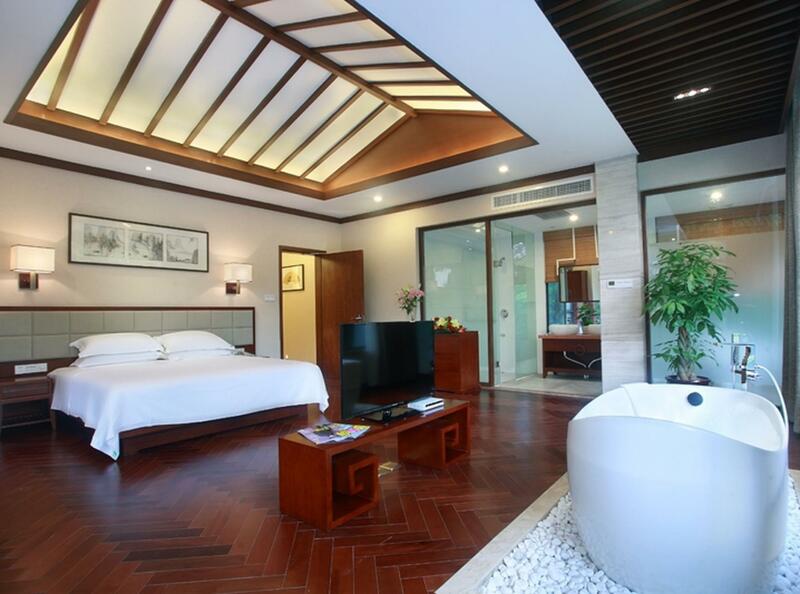 Will stay in this hotel again if i visit guilin again.